Maine Hiking and Backpacking are favorite vacation activities. We found scenic and easy Maine hikes, ocean walks and wooded paths. Maine is an ideal place a Northeast hiking vacation adventure. Some Maine State Parks and National Parks are open all year, but as the temperatures warm, Maine trails and parks come to life. 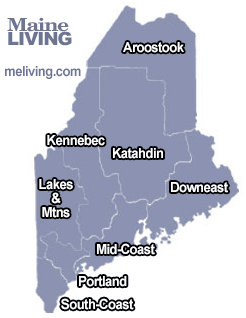 Variety, affordability, and congeniality are all part of Maine hiking. Ask us about Maine hikes or share Maine hiking comments and trail updates. To feature your business, contact us.